Nothing quite says Spring like bees, right? The prolific pollinators help the flowers bloom and give everybody a spring in their step, especially when they decide to sting. 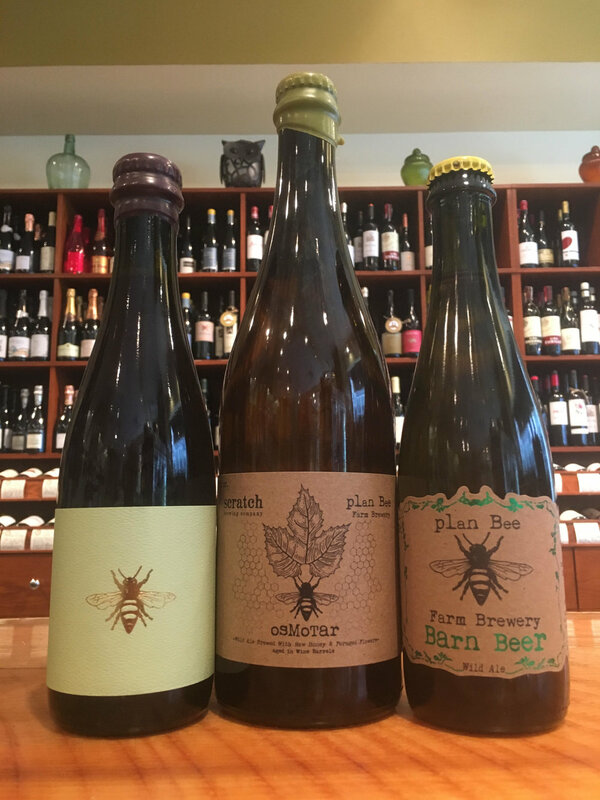 Either way, we're super excited to have some great brews from Plan Bee Farm Brewing. Located in Poughkeepsie, New York, Plan Bee is dedicated to making truly local beers, with locally sourced ingrediants sourced from their farm or from nearby neighbors. We'll be pouring their collaboration with Scratch Brewing, OsMotar, their classic 'Barn Beer', and their quince and currant wild ale, Zone 6. While we encourage drinking as much local beer as possible, the Belgians have been brewing classic beers for far longer, and because we love you, we're opening up the Bruxellensis Reserva and Jester King collaboration Jester-Zinne from Brasserie De La Senne. These beers are worth waiting for, and thankfully, the wait is almost over.